The Bible tells us that Jesus Christ was sent by God into the world to bring men and women back to God, restored and set free. At the conclusion of his ministry after he died on the cross and as raised to life, Jesus commissioned his church to go into the world and make people his disciples, to love and follow him, baptising them in the name of God, Father, Son and Holy Spirit (see Matthew 28:19-20). After people listen to God’s Word, and decide to turn to Christ and receive things God has promised to those who trust in Christ as their saviour, master and friend, they are ready for Baptism. At Baptism a person is immersed in water, or water is poured on them, as an outward symbol of what God does inwardly in their lives, by His Holy Spirit. ADULT BAPTISM Many people are adults who were never previously baptised, but now desire to come. They are able to answer for themselves. INFANT BAPTISM Families who are themselves believers and want to include their children and bring them into membership of God’s People bring them for Baptism. 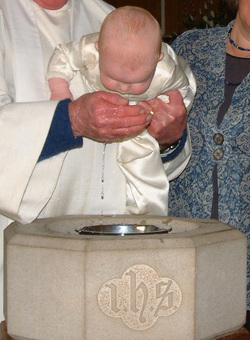 In these cases the infant cannot answer for themselves, but their family and sponsors (godparents) publicly profess the faith into which believers are baptised. Any enquiries please contact the minister, preferably at a church service Sunday 10.15am. 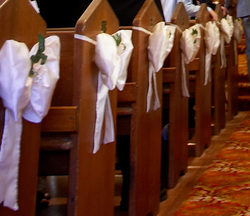 Marriage services in St Mark’s are conducted using the Anglican prayer book, following suitable preparation. Any enquiries please contact the minister. Funeral services in St Mark’s are conducted using the Anglican prayer book. Please contact the minister.